Hey there fellas!! So here we are, with another article on offices & lighting to make your lives simpler!Lighting in offices can be very different than lighting in our homes. The needs, atmosphere & usage are stark contrasts.You can experiment with the lighting levels, lighting designs & their placement. 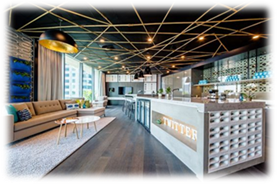 > Identify the need- individual desks may require localised lights & lobbies & conference rooms may require diffused spread lighting. > Choose lights according to the brightness required- yellow lights for congregation spaces & white lights for work spaces. > Make sure that the lights don’t cause glare in case desks with computers. > Low light levels make the user grumpy & sleepy/ lethargic. 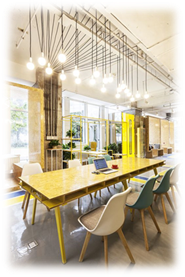 Localised lighting for individual work-desks helps, for it lessens the chances of glare & makes for a more focused lighting & working environment. Virgin, untreated ceilings can be covered by installing stunning pieces of lights like these from PHILIPS..
choose to operate the lights where & however required based on the use. 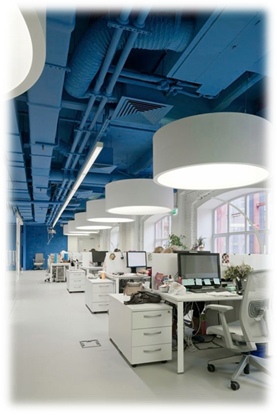 Work-desk lighting can be critical- lighting should maintain a work environment, it shouldn’t be very bright that it hypes up the environment & spoils the space. 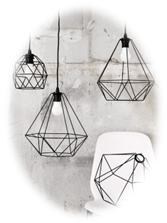 Make your lights look fun which will in turn make your work fun as well!! 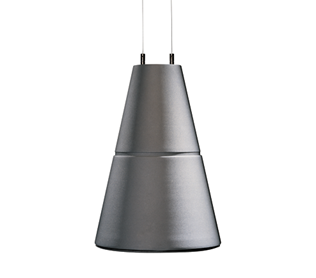 Shapes & size variants of lights available today are vast & can be used to the user’s benefit. 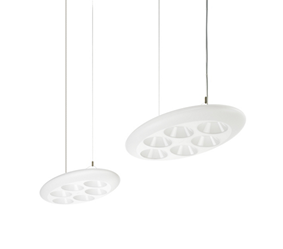 Form plac es in your office which are highlighted by light itself…….library, canteen, conference room etc. 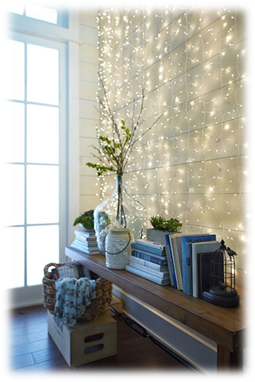 Experiment with the look of the light……..use bulbs to decorate your ceiling…..twinkle lights to adorn your wall & down lights for your tables. Notice how strip lights are lifting up the mood & look of the place. It’s fun, new & of the coming age…..& you are going to love it for sure!! This entry was posted in Architect's Pick, Uncategorized. Bookmark the permalink.